Your carpets and hard surface floors are often the first impression you make when a customer walks into your building. Make sure that impression resonates cleanliness and professionalism through ServiceMaster® Capital Area carpet and floor care. ServiceMaster Clean® is an industry leader in all types of flooring including: wool, natural fiber and synthetic carpets, as well as marble, vinyl, ceramic, quarry, tile, wood and other hard surface floors. Commercial Carpet Care - Every year, over 5,000 customers trust ServiceMaster Clean®® to clean more than 100 million square feet of commercial carpet. Our relationships with carpet manufacturers keep us abreast of proper care techniques, ensuring your carpet’s long life and enhanced appearance. Hard Surface Floors - ServiceMaster® Capital Area knows the proper care regimens for a variety of hard floor surfaces including vinyl, ceramic, quarry, tile, and wood. 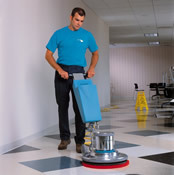 Other Specialty Cleaning - ServiceMaster® Capital Area specializes in other types of commercial cleaning as well, including slip and fall solutions, window cleaning, computer room cleaning, and more.